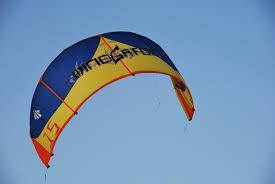 The images and comments found on the internet, suggests you stay away from these kites. Pitures and the price you paid. Also pitures of the bar and lines. If you can't unspin the lines it's outdated. We are also no wiser where to buy one! Like to know which kites it outperformed? Ok ,seen your response in the newbie section. Seems to be two threads going.